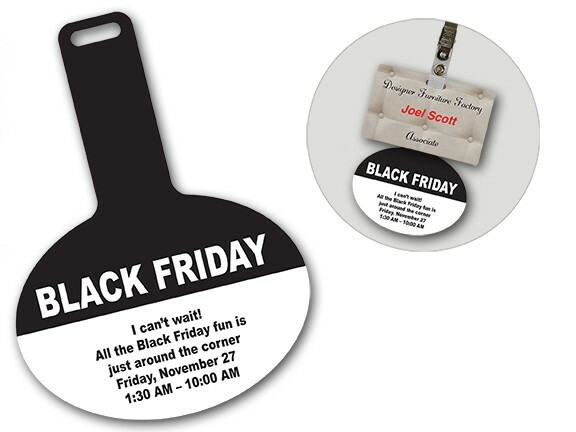 Badge Mates (UV coated) reminding all of an up-coming or on-going event, such as Black Friday, Holiday Specials, etc. This inexpensive badge goes behind the ID badge and drops below for visibility. Available for Rush Production and Lightning Production. 1 color front; $25(v) and 1/1 up to 4CP/4CP; $50(v) 6.5 lbs/M. 10 working days from proof approval.